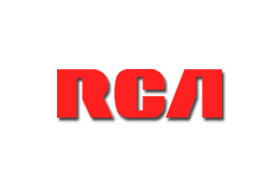 The innovative tradition of RCA Commercial Electronics televisions began in 1939, when the company introduced the American public to black and white television, followed by development of the nation’s original color TV standard and retail introduction of the first consumer color TV in 1954. These remarkable achievements continued in 1970 with the development of the solid state color TV. That commitment to developing new and better ideas continued over the next 30 years, marked by milestones such as the first four-hour home videocassette recorder in 1977, and the development of the stereo television in the mid-1980s. In 1994, the RCA Direct TV Satellite System was born, opening the door for high-definition television.